In 100-Baggers, you will learn the key characteristics of 100-baggers why anybody can do this. It is truly an everyman's approach. You don t need an MBA or a finance degree. Some basic financial concepts are all you need - a number of crutches or techniques that can help you get more out of your stocks and investing. 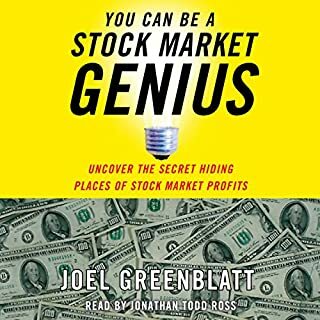 You should listen to this book if you want to get more out of your stocks. 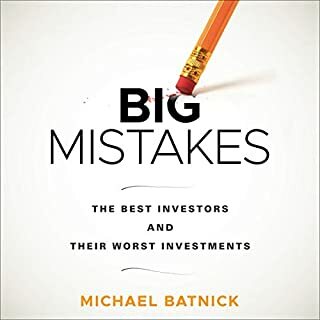 Even if you never get a 100-bagger, this book will help you turn up big winners and keep you away from losers and sleepy stocks that go nowhere. After reading 100-Baggers, you will never look at investing the same way again. It will energize and excite you about what's possible. 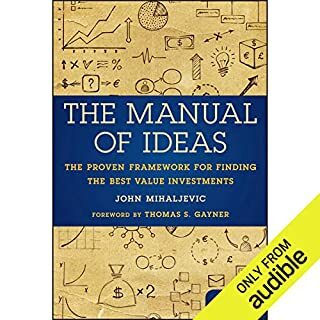 This is a really great book for beginners and moderately knowledgeable investors. It really hammers home compounding returns. Good case studies. I liked this audiobook. It summarizes a lot of good articles, books and general practice on investing. It is written in a straight forward way and the audio version is well performed. 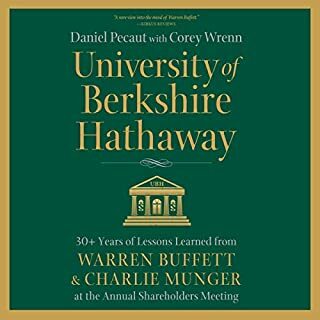 Lots of good insights also on many great investors such as Warren Buffett and Charlie Munger. The book comes with hand-on examples that you can use for your own investments. I really enjoyed lustening to these book. It remainded me of importance of sticking to your beliefs when the market moves against you. At first tvrtke laugh at you, then they argue with you and in the end you win. 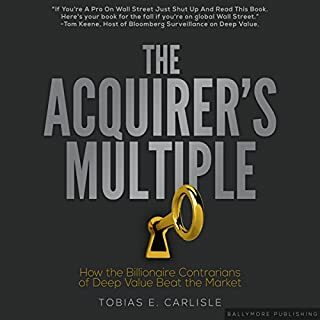 great book overall informative includes details about 100 bagger stocks.Would recomend this to a freinf. 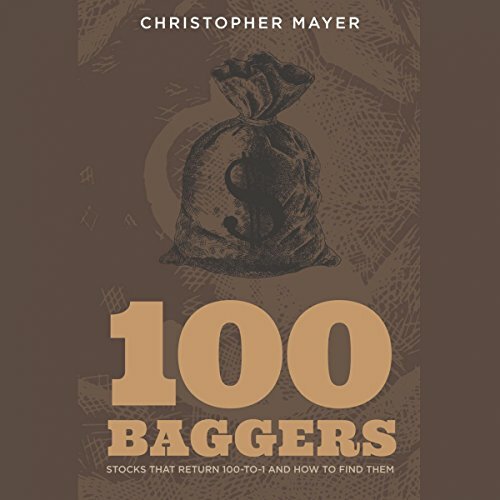 Chris Mayers has distilled the principles needed to get 100 baggers really well. I can't wait to get started on my quest in finding one. Also, quite liked the thought process behind the coffee can approach. Great book overall. I enjoyed this book. Actually listened to it twice in a row. 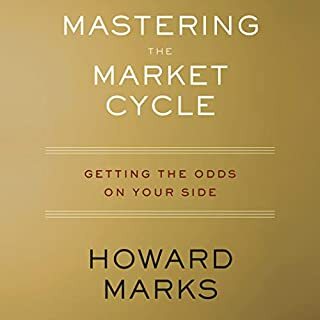 Gives some insight into good investing principles for long term holding and avoiding market swings. Focusing on return on equity and earnings instead of market price. Most 100 baggers went through some wild swings over the course of getting 100 to 1. I had never heard of the coffee can investment style either. So that was an interesting idea.